Categories: Dermal fillers, Facial rejuvenation. Tags: facelift, sihouette, threads. Silhouette-Soft™ is a new treatment which is proven to counteract the effects of volume loss and skin ptosis (degradation of the quality of skin as a result of the ageing process). Silhouette Soft is a treatment that can be carried out by your doctor in thirty minutes. What is Silhouette Soft™ made of? The components of Silhouette Soft are natural and entirely absorbable. Fully certified, the materials of Silhouette Soft have been used for many years in surgery. All Silhouette products are manufactured in Michigan, USA, and are subject to rigorous sanitary controls. Silhouette Soft is a natural substance that counteracts the loss of volume which afflicts ageing skin. The procedure is suitable for all skin types – allergic reaction tests have been negative throughout clinical studies. How long does Silhouette Soft™ last? The visible aesthetic benefits of a Silhouette Soft™ treatment last for a period of 12 to 18 months. Results are immediate and long lasting. One’s age and lifestyle can have an effect on the longevity of the aesthetic results. 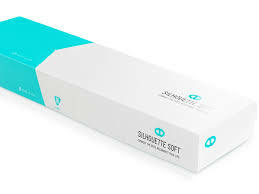 Silhouette Soft is an excellent complement to other cosmetic treatments, such as hyaluronic acid and botulinum toxin. The latter can continue to be injected during Silhouette Soft treatment – as well as after treatment. Are you a good candidate for Silhouette Soft™ procedure? During the consultation, our plastic surgeon will examine your skin type, laxity, elasticity, age and consider the desired results. This procedure is especial suitable for these regions of the face and the skin where skin elasticity is reduced, the skin is loose and/or there is excess of the skin. Ideally, if the skin is thin or medium thickness, loose and wrinkling of the skin is from minor to moderate one. Especially Silhouette Soft™ is suitable for those patients when usual facelift is too early to performe. Always it is important to consult with the physician who performs the procedure. Only he/she can evaluate the changes, type of your skin, and offer the most suitable surgery method or the procedure and provide detailed information about it. Maybe according to patient’s desires and evaluating present changes the physician will offer Thermage®,fractional laser treatment, photorejuvenation, wrinkles correction using Botulinum toxin injections or tissue fillers, or may offer to combine some of these methods. Our specialist will individually select the most suitable treatment regime to achieve the best effect. We advise you to discuss your expectations and questions about cost, cost and questions you may have with your practitioner. Tell him about your previous treatments and whatever medication you might be using. What to do after Silhouette Soft™ treatment? After Silhouette Soft treatment, your cheeks will appear slightly elevated and will show more volume. The results are immediate and natural. They can be further complemented by treatments with hyaluronic acid and botulinum toxin. As with any aesthetic treatment, slight swelling, redness or bruising can occur – but this disappears with a few days. You will be able to return to your normal activities straight away. However, it is advisable to avoid exercise and face massage. What will I look like right after my Silhouette Soft™ treatment? Silhouette Soft is a 30 minute treatment provided by your doctor. The results are first and foremost natural. You will notice that your appearance is relaxed and that your face appears refreshed. 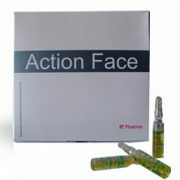 The process provides rejuvenation but, at the same time, maintains the mobility and vivacity of your facial expressions. 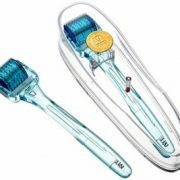 Silhouette Soft enhances facial features such as the cheeks and chin and restores volume for a more youthful look. Who can provide a Silhouette Soft™ treatment? 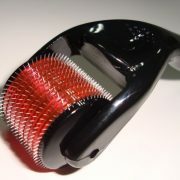 Only certified practitioners may carry out a Silhouette Soft treatment. All of our certified practitioners have been rigorously trained by the Silhouette Academy. “Until now, there was no real solution for young women aged 30 to 40 who want to regain their 20 yearsold facial oval. For such women, there was no way to ask about surgical facelift: they have neither the time nor the motivation. The scalpel and the scar that accompanies remain two major obstacles, in addition to results sometimes unnatural of a technique associated with a more advanced age. Now, this quality of result is available of these thirty years old women through absorbable suspension threads made of cones and named SILHOUETTE SOFT®. Especially in theirEXTENDED version with 20 cones instead of the traditional 8. They bring a long-awaited answer by effectively correcting the first signs of facial aging : the beginning of imperfection of the oval and the birth of the flattening of the cheekbone. SILHOUETTE BEAUTY©, the company which created the classic SILHOUETTE SOFT® threads, responded positively to my request to produce EXTENDED SILHOUETTE SOFT® thread . This unique thread is approximately 20 cm, against the 8 cm of its classic version. This is exactly this length, combined with the intrinsic qualities of this thread (20 cones 2 mm thick), which gives it a much greater ability to support and then allows him to approach the quality of the results of the permanent threads. Indeed, the SILHOUETTE SOFT® classic thread is too short to produce the lifting effect desired by patients. They only have the effect to tighten tissues on themselves. So if they offer a beautiful restoration of the rounded shape of the cheekbone and the cheek, they will by no means clear the nasolabial fold or tighten an oval. The results are surprisingly natural without burdening the facial features, unfortunately at the contrary of some fillers. Discretion is absolute. 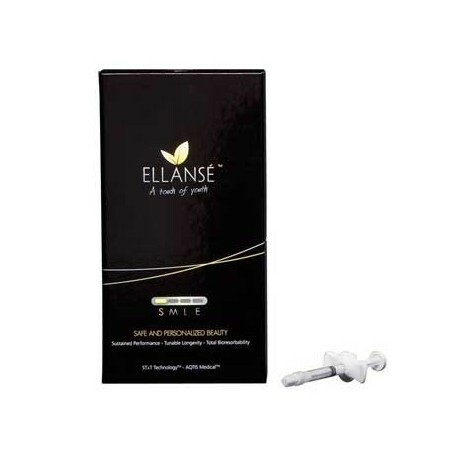 Finally, the results have now reached a very satisfactory sustainability of 8 to 12 months, after which the thead is fully absorbed and has completely disappeared from the face.